Crucial precision, optical and laser systems require high amounts of stability to ensure their accuracy of results. However slight unintentional movements to the instrument can cause erroneous outcomes and compromises the equipment’s valued feature of precision. The solution? A simple yet highly effective pneumatic anti-vibration mount. What is a Pneumatic Mount? We were the first company to recognise the need for and produce this type of crucial equipment, intended for use on sensitive machinery. The Stop-choc/Barry Controls SLM mount was designed with the aim of providing outstanding shock and vibration isolation and therefore stability, to the system it is applied to. 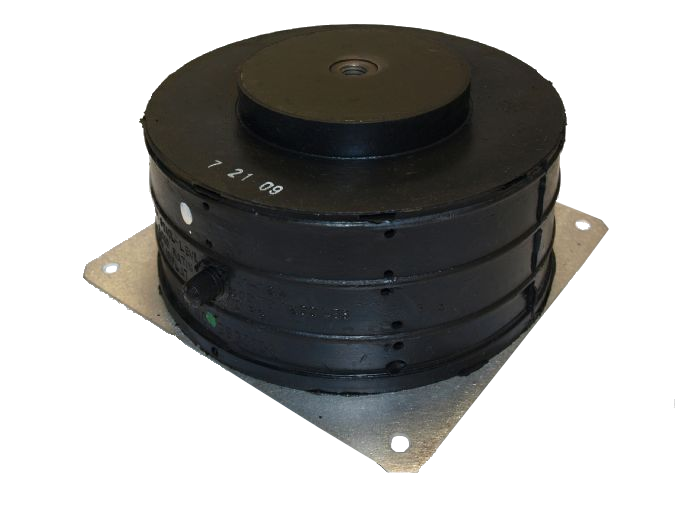 Why do you need a pneumatic anti-vibration mount? If it is important that your equipment is not disturbed by external vibration, a pneumatic anti-vibration mount is ideal. For example, optical and laser apparatus (e.g. microscopes, inspection equipment, optical systems) that are sensitive to slight disturbances will benefit from this key component, increasing the accuracy of the output. The SLM mounts we offer come in various sizes and load ranges to suit your specific application needs. Stop-choc specialise in producing anti-vibration mounts according to your requirements, so you simply need to contact us with your specifications and a member of our technical sales team will be more than happy to assist you. If you have a query regarding a mount of any kind or any other product you see on our website, please contact us via email at sales@stop-choc.co.uk or call us on 01753 607126.